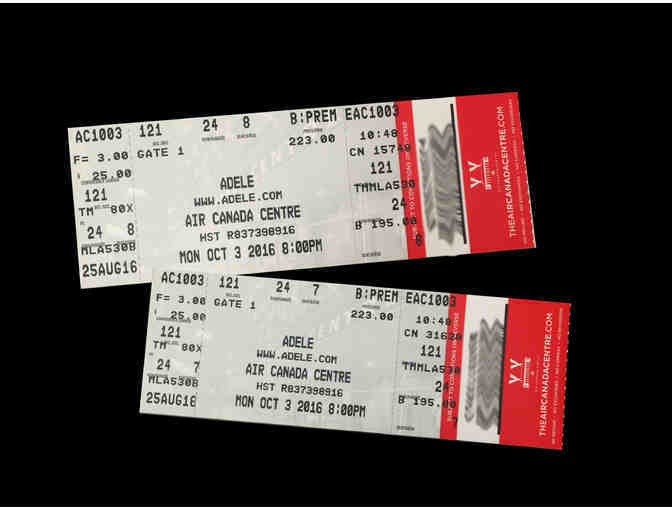 You are bidding on a set of 2 Adele concert tickets at the Air Canada Centre in Toronto, Canada. These tickets are for Monday, October 3, 2016. Section 121, Row 24, Seats 7 & 8.